So what is the insight? Our tendency to self-servingly pursue our favourite thing at the expense of everyone else. are inflexible and uninterested in compromising on what we want. Or as Louis CK summarizes it – we don’t want to settle for outcomes that only meet 99% of our criteria. 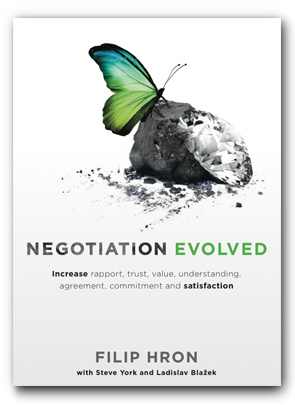 Starting negotiations in this manner predictably leads to the first of the four games that we cover in Negotiation Evolved. This is the game that has the lowest potential for creating value, and the highest risk of producing negative by-products.